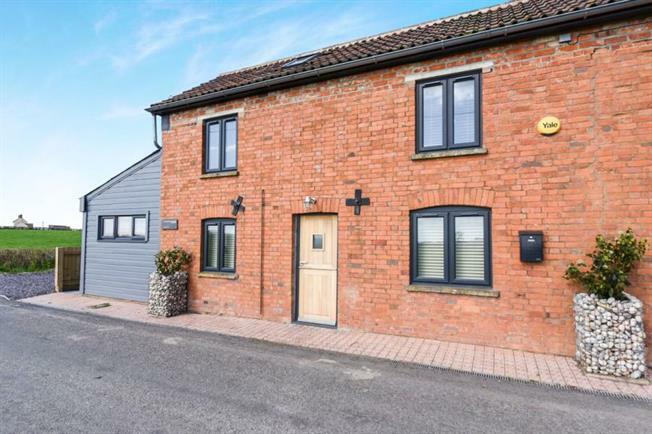 1 Bedroom Semi Detached House For Sale in Wells for £250,000. Full of character, invention, love and tremendous appeal, this one bedroom cottage is a credit to our clients. Having undergone significant renovation, this cottage is now offered to market with no onward chain complication, and boasts outstanding views across the neighbouring countryside towards Glastonbury Tor. We challenge you to find a property marketed this year that will make you smile and want it more! On entrance you immediately get the feel this is something just a little special. Contemporary finishing meets period character from floor to ceiling! Most notable on this floor includes the vaulted dining area with bi-fold doors to the rear terrace, the bespoke fitted kitchen, and log burning stove in the living room. From all of the above you get the pleasure of the view of the Tor across rolling countryside to the front. The skylight on the landing allows for yet more light, with access to a luxury four piece bathroom suite that includes a separate bath, and a separate walk-in shower. The double bedroom is an excellent size, with a window perfectly framing the view towards the Tor as you wake up each morning. Off street parking for one vehicle allocated on the driveway to the left hand side of the property.